Welcome to the Chalmette Elementary Twirl Team! The CES Twirl Team is coached by Mrs. Turnbull (5th Grade Math/Science Teacher). The team will perform choreographed routines to help raise school spirit! On Thursday afternoons you will find the majorettes working hard to prepare for upcoming events at school and throughout the community. 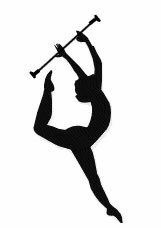 Twirl Team will meet every Tuesday from 3:40 to 5:00 pm.